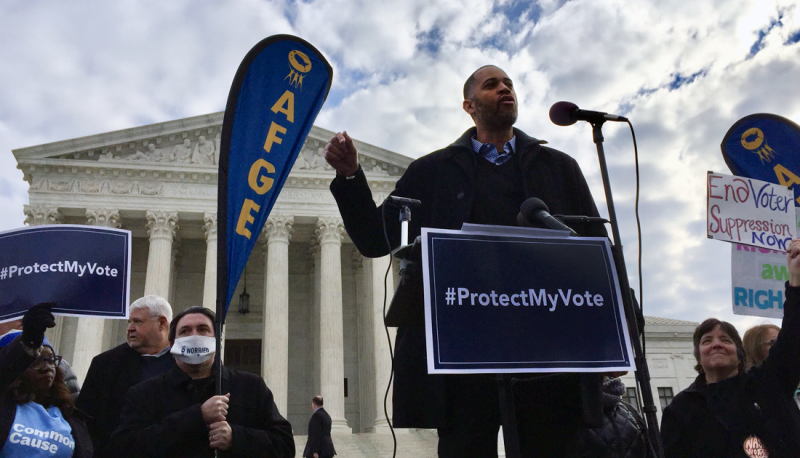 The Right to Vote under Attack: The Campaign to Keep Millions of Americans from the Ballot Box, a Right Wing Watch: In Focus report by PFAW Foundation, details the worst of the worst of the Right’s fight to suppress the vote. Many states have indeed taken up this fight with voter ID, proof of citizenship, and other suppressive legislation. This weekend it was refreshing to see Connecticut buck that trend. On May 5, by a 19-16 vote, the Connecticut Senate passed HB 5024, the same-day registration bill introduced by Representatives Christopher Donovan (D-84) and Brendan Sharkey (D-88) and Senators Donald Williams (D-29) and Martin Looney (D-11). It passed the House on April 30 by an 83-59 vote. Governor Dannel Malloy is expected to sign it into law. 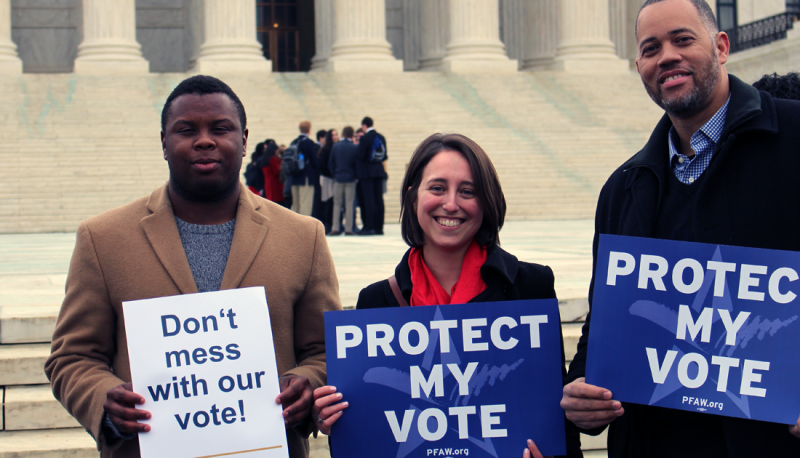 Despite the pervasive climate across the U.S. to restrict voting rights, Connecticut has moved in the opposite direction—one that ensures the integrity of our electoral process and fair, accessible elections. These reforms allow more people to have their voices to be heard in a place where it truly matters – the voting booth . . . And I believe there is nothing more important than that. This common sense yet long overdue reform is something we have tried to implement in Connecticut for years, and now we have made history by moving elections in our state into the 21st Century. Other voting rights supporters who cheered the news include Miles Rappaport, former Connecticut Secretary of State and current President of Demos, Cheri Quickmire, Executive Director of Common Cause Connecticut, and others. HB 5024 is also notable for its creation of online voter registration, an issue also before the Governor in Hawaii.